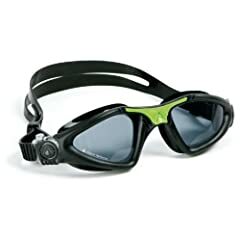 You are going to love this selection of the best competition swim goggles, which helps you pick a pair which not only to protect your eyes but provide a better field of vision in the water. Whether you are competitive swimming, recreational swimming in a lake or pool, joining a triathlon the best competition swimming goggles give you an edge when in the water. There are available styles for adults, kids, women and optical to improve poor vision in a amazing array of colors. Make sure you have a great fitting pair of goggles for your next swim. 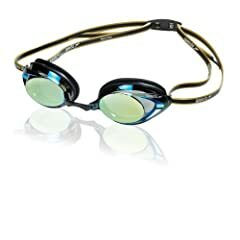 The original Swedish goggles are the most popular goggles among elite swimmers and Olympic athletes since 1974. They feature a ready-to-assemble racing design with a smooth seal and shatter resistant lens. Swedish goggles are notable for a lack of a gasket or seal around the eye cup, as found on most other goggles. Much of the popularity of Swedish goggles is due to their customizable fit. If you swim competitively either indoors or in open water you will require swim goggles not only to protect your eyes but to improve your performance. Many recreational swimmers as well want them for the same reason. Goggles for competitive swimming – have a technical design with a close fit to your eyes to reduce drag. To make you hydrodynamic they also feature a low profile. In this category Swedish Goggles are the most popular as you can have a custom fit. 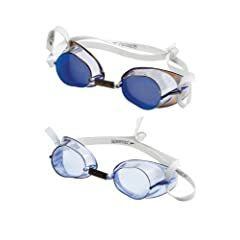 If swimming outdoors competitively, particularly the backstroke, you may want goggles with mirrored or metallic lenses which are dark tinted and designed to limit the light around you. Another option is whether to use clear or colored lenses. Pick a clear or light color to brighten up things if swimming outdoors in the early morning or in an indoor pool. Meanwhile the dark colored lenses such as black or blue are more suitable in a well lit swimming pool as they will also make the water look darker, although not as much as the metallic lenses. 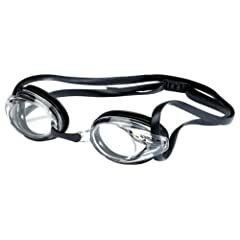 Practice goggles – as you would expect these are designed for the swimmer to wear for longer periods while they practice. While they do feature a good seal they are more comfortable than the competition models. 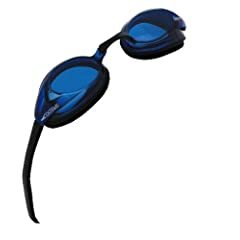 Recreational swim goggles – as expected these are designed for a more comfortable fit with less focus on how they performance. There are also masks for similar results.